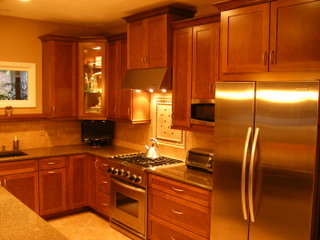 Visionworks Construction, Inc. is a full-service remodeling company specializing in kitchen, bathroom, basement and room additions. We are State Licensed Contractors, E.P.A. Certified Remodeling Company, General Liability and Workman’s Comp Insured, Bonded with all employees background checked, uniformed and experienced. All contracts outline specific “scope of work” with progress payments based on performance. No “up-front” fees. 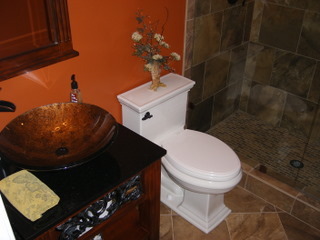 Design services are available with no obligation estimates. We just ask for the opportunity to bid your project. Choosing a State Licensed Contractor will protect your investment by maintaining Code Compliance. Full service and State Licensed. State Licensed and full service. State licensed with full service. Fullservice with State Licensed. 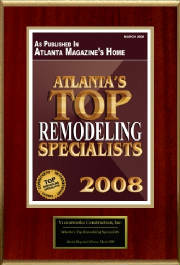 "Family Owned and Operated since 1990"
Visionworks Construction, Inc. was named one of "Atlanta's Top Remodeling Specialists" as published in Atlanta’s Home Magazine March 2008 Edition. 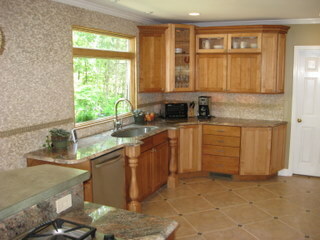 This award was given to a select group of Remodelers servicing the Atlanta Market.